In a world that is over saturated with information, our mission is to return to wisdom. Guided by the system of yoga that we have inherited through thousands of generations of teachers, we seek to facilitate experiential embodiment for all who participate. The Amara Muse yoga teacher training is a nine month program rooted in timeless yogic philosophy and technique yet infused with practical self development inspiration. This program will support you in applying ancient principles to your modern life in order to live with a deeper sense of connection, integrity, confidence and purpose. 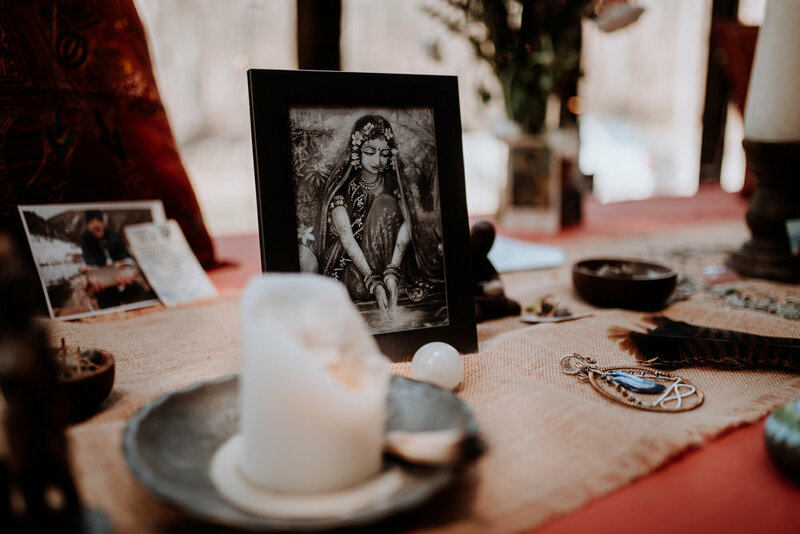 The Amara Muse teacher training is a process and pathway by which you will become an illuminated, motivated and impactful presence in the world. This experience will offer you the opportunity to deepen your devotion and align with your inherent divinity. Embarking on this journey will involve self reflection, guided inquiry and discovery and collaborative exploration supporting you in finding and claiming your authentic expression. It is an honor and a privilege to experience the many gifts of yoga. The degree that you commit yourself to these practices is the degree that your life will be improved. No matter the trajectory you take beyond this training, the benefit will expand into all areas. Should you choose to begin teaching, you will be thoroughly prepared to lead in an empowered and skillful way. Herein lies the potential for you to awaken your joy and infuse all that you do with the spirit of Yoga. 12:30 - 1:30 - L U N C H ! Delicious vegetarian LUNCH included on Saturdays and Sundays! $500 non refundable deposit is required for registration. Minimum of 50% of tuition is due by August 23. *Cancellation Policy: If the training cannot take place, cancellation will happen by August 1ST and all money refunded. Are you ready to take this next step into your self development and education? This self investment will support you in bringing forth your very best as you become the empowered leader you are here to be!